What Vintage Motorcycle Brand(s) Would You Have If It COULDN'T Be A Honda??? 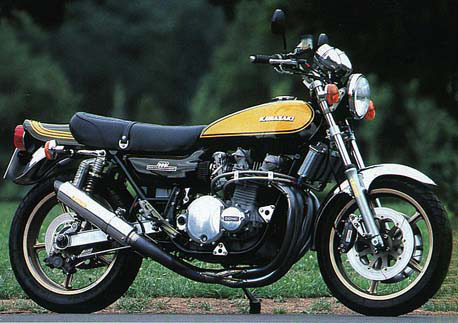 Topic: What Vintage Motorcycle Brand(s) Would You Have If It COULDN'T Be A Honda??? Re: What Vintage Motorcycle Brand(s) Would You Have If It COULDN'T Be A Honda??? That Vincent Black Eagle Sport is one sweet bike. Go with a Honda vertical twin and nice reverse cone exhaust pipes on both sides. Black with gold trim/lettering. I couldn't afford it but I would drool on it a lot. Mmmmm those Vincents are niiiiicccceeee drooooolll!! BSA. I had a 69 Lightning and foolishly sold it. I now have a 71 BSA OIF Lightning (no, not the Dove Gray framed 2 toned stock model) Ugh. I love the fact of something simple to work on, reasonably fast. You don't see a lot of them on the road or any old Brit bikes for that matter. Plus it marks it's territory when it park it. I have for some reason lusted after a BMW R27 from the very first time i've seen one. Problem is like most things, i have a whiskey taste on a beer budget. In the end though , i think any day your out on a 2 wheeler is a good day. No matter what make or model. BSA... I would love to purchase my father's A75 Rocket 3 back. I foolishly sold it years ago. If I remember correctly, I sold it for about $1,500.00 . Would love to restore it as a tribute to him. BMW, Moto Guzzi or Ducati. Always wanted a Matchless G50 in a Seely frame, one of the MV's 500 with the chain drive conversion, Triumph Tiger 100ss, never had a g50 or an MV but loved my Tiger 100 SS, into the s bends with the damper tighened slightly wound out no hands, just a swing of my hips and gone also first bike I got up on the seat at about 55mph was a blast, beautiful summer morning and me trying to sing to Barber of Seville. That'll do pig. That'll do. I've gone two-stroke crazy over here! Did newer emissions requirements kill the two stroke or something? Well a two-stroke has a BANG! on every crank rotation, not every other rotation (per cylinder). No poppet valves or cams or any of that stuff. They breathe through ports cut into the chamber walls and the size, height and shape of the ports is VERY important, along with exhaust pipe shape, length and size. Intake tuning is important too with "Piston port" designs or reed valves or rotary valves in use on that side. They are more thirsty, but make more power per cc than a comparable four-stroke. Note the MotoGP racing, the only way to break the 500cc two-stroke stranglehold was to allow 990cc four-strokes. Twice the size. However, the power is not nice, "clean" four-stroke power that rises predictably as revs rise, like a turbine, but instead is concentrated in a narrow "powerband" at a certain RPM, due to intake tuning, exhaust tuning, port tuning, etc., and comes on positively FURIOUSLY. Truly beastly machines. They are more maintenance intensive than a four-stroke, (when's the last time you had to de-coke the head and exhaust chambers on a CB? ), and require more care and attention, both in maintenance, and when riding. But there is NOTHING that can match the feel of a two-stroke coming "on the pipe" or getting into the powerband. What "killed" 'em was emissions laws and noise laws. They're loud, they burn oil and are generally considered "Rude, Crude and Socially Unacceptable." The EPA f@ggots pretty well killed the road-going versions in the late '70s to early '80s. I'm gonna keep my old CBs for daily bikes and for most of my riding, but I just picked up a two-stroke for a toy. I'm totally taken. I don't think I'm completely converted to the Stroker Side, but I'm enjoying this little Affair. moto - oh ya, those older two strokes couldn't get near to passing a modern emission test. the big advantage of a two stroke is twice the power stroke vs. a four stroke combustion cycle. lots of push = quicker acceleration, (in general, with exceptions). the old two strokes had the oil mixed with the gas, or, had it injected into the combustion chamber to aid in lubrication. due to the batch mixture, they smoked and they stank, big-time. now, fast forward to modern times with your handy-dandy computer controlled oil injection two-stroke combustion process and you've got a different game on your hands. i don't know of any chip-controlled two-stroke motobikes but in the boating world, a modern two-stroke outboard engine is a highly economical alternative to a modern four-stroke board engine. the two's weigh much less, cost less and the difference in fuel savings betwen the two is so small that the modern two makes a darn good case for purchase. other, more experienced and knowledgable people here would probably be able to speak of the two-stroke engine in racing applications. they've got a lot of push per lb to them. I read about a Suzi 2-stroker restoration. They put it back completely stock and passed California emissions tests with it... I think clean two-stroke technology is a possibility and it's a shame it isn't being pursued. Anyway, Triumph has my vote. 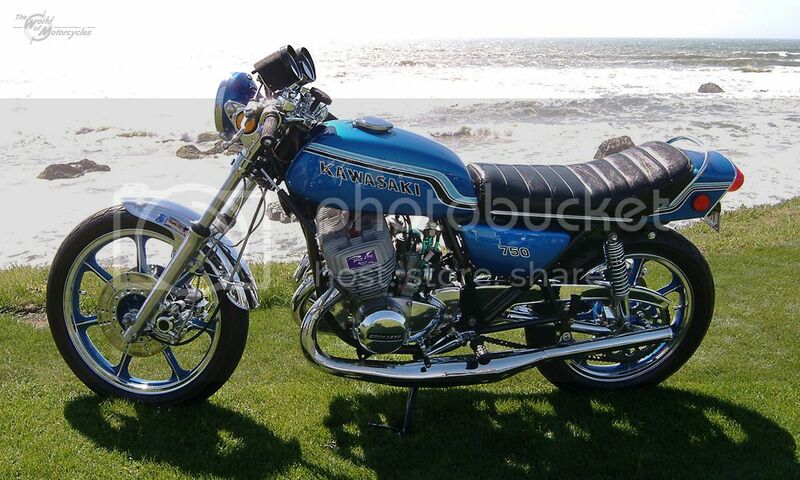 I picked Kawasaki becuase I would like to have a 72 Kawasaki 750 H2 again. This time I would have to cafe it out. I found this on you tube. Only now did I discover this poll. I must be in a... uh, poll taking mood since I just did the age one. 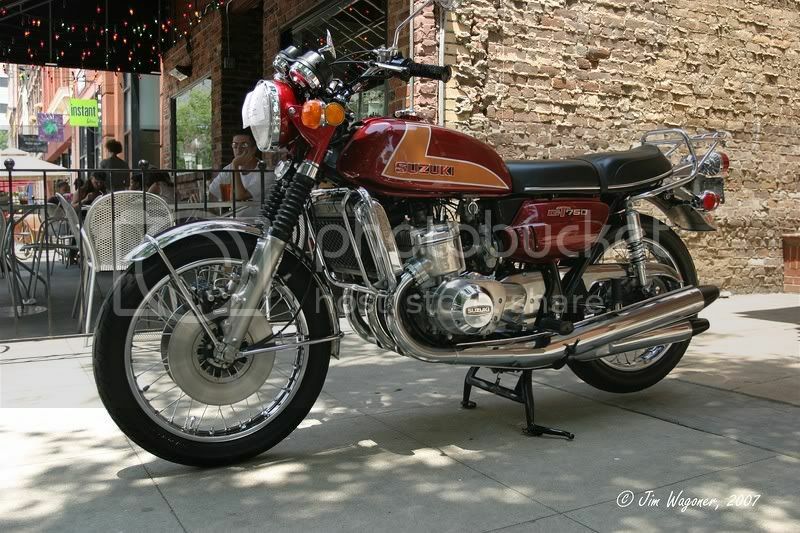 This was a tough one but chose Royal Enfield because before I got the 550 I was eyeballing a 1960 Constellation twin. Like the Kawa and the Suzuki's too. Hell, I like 'em all. New one added: don't know if it qualifies as vintage as it's a reproduction and it's not very practical, but I want it! this is one of the biggest reasons i ever wanted a street bike. couldn't afford a Triumph so bought a Honda and i gotta say, i love each one of my Honda's like they are my big little babies flesh(steel) and blood(oil), even the one in the box in the corner(bike not babies). This is just not altogether true anymore! These days Honda parts prices amaze me! I'm thinking a BMW? . . . except that parts are WAY more spendy than Honda! 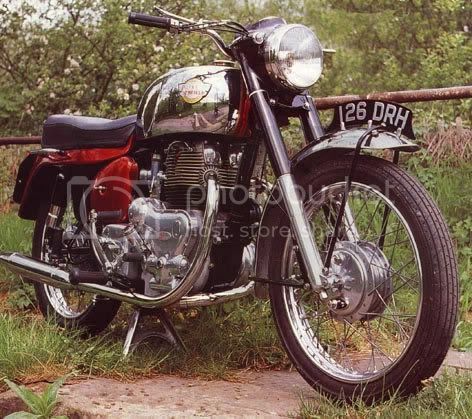 1968 Triumph Bonneville - boy I'd like that one back! I've never had much fun on a cruiser. I prefer something with a little performance that I won't drag the pipes/stand if I decide to take an on ramp at speed. See sig for possible trade? are similar to the Hondas I like. Or the idea of a Norton Wankle engine would be pretty cool. It's funny how much faster they are in the strights than any other bike! An H2 ain't a bad choice ... unless you have lost your reflexes. Get a grip when it hits 3800 rpm, bucko! Norton wankle? Had no idea they used one of those. And too your comment on how much faster they are in the straights - It is expected. I had a '72 Mazda RX-2 (yea, there was an RX-2, 3 and 4) with a ton of Racing Beat mods. Ran like heck, Able to pull the front end off the ground in 1st and 2nd and would stretch the suspension fully in third. Handled corners like a dream too. Wished I had pictures of it but I don't anymore. Hard to get a hold of a camera in '78/'79. I would have a Vincent as they were an engineering solution looking for a problem, Rickman 836 and Dr John Guzzi. Of the three, I've only ever ridden a Vincent but I have had other Guzzi's and a Rickman 750 to play with. I quite liked my Enfields, so maybe a Rickman Enfield as well.